Forget about tulips, windmills and wooden shoes - this is what Dutch people do in the weekend! Amsterdam, the capital of The Netherlands (or Holland as people often say) with over 800.000 inhabitants, even more bicycles and millions of visitors each year. The city with more nationalities living together than you can count, the most amazing grid of canals (UNESCO!) and beautiful canal houses and houseboats all around. 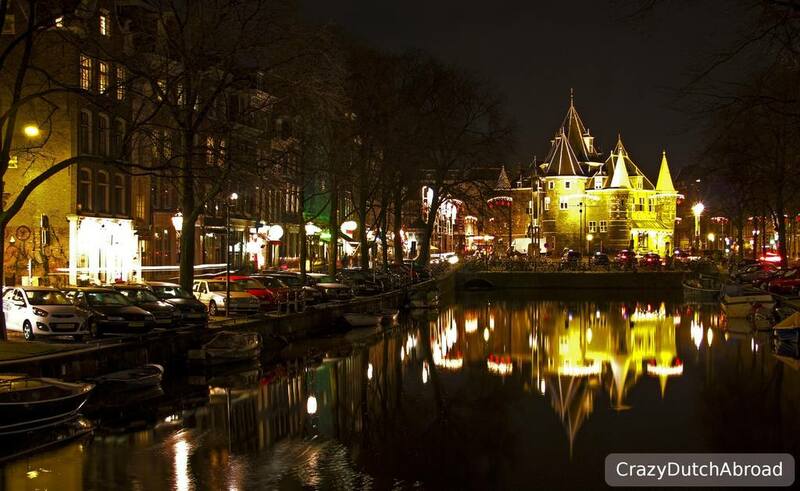 Many beautiful museums and historical buildings can be found as well as coffee shops, the red light district and hundreds of festivals. Many Dutch people visit Amsterdam for the day as well, there are countless things to do in Amsterdam - plus the most amazing bars and restaurants to have a wonderful experience. 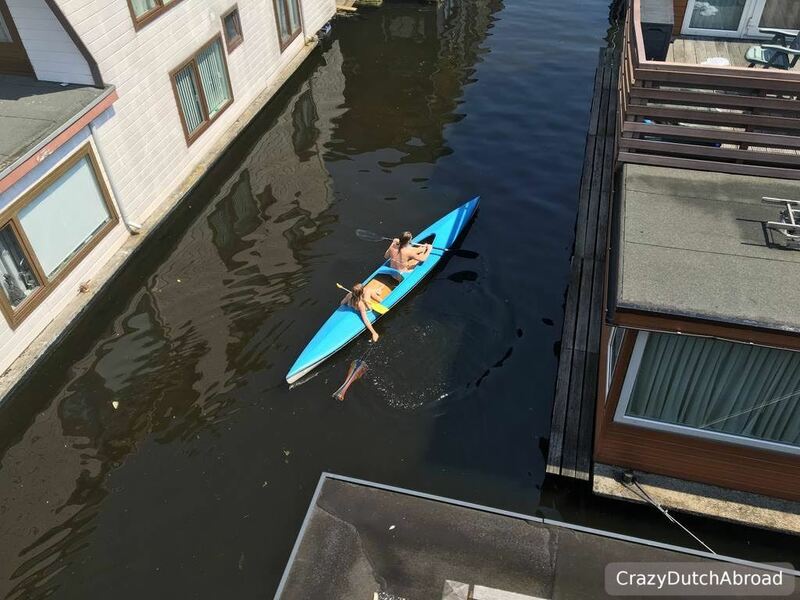 Did you ever wonder what Dutch people do in Amsterdam during their days off? 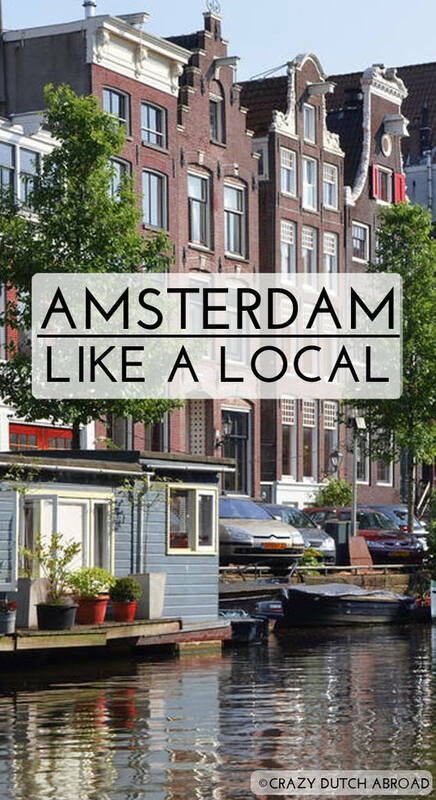 Here are five things to do in Amsterdam - like a local! 1. Visiting the Albert Cuyp market! Especially in the morning the market vendors show their best products and try sell them to you by repeating their offers out loud. 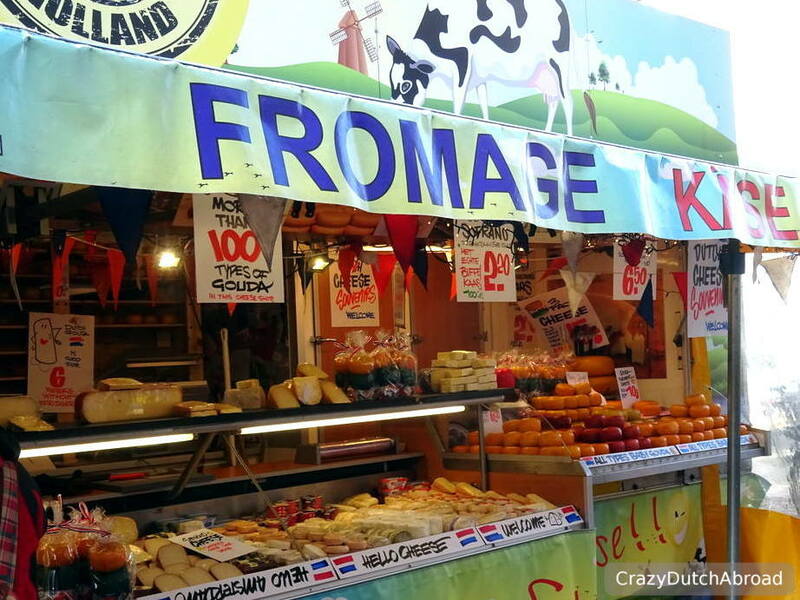 From fresh baked bread to typical Dutch cheese, from socks to flowers - the Albert Cuyp is a local market! 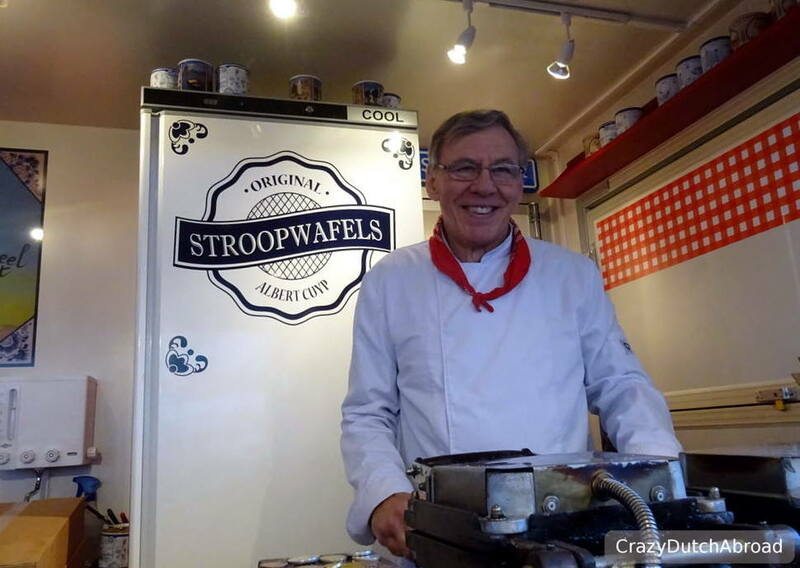 My first stop is always the 'stroopwafelkraam' (syrup waffle stall). 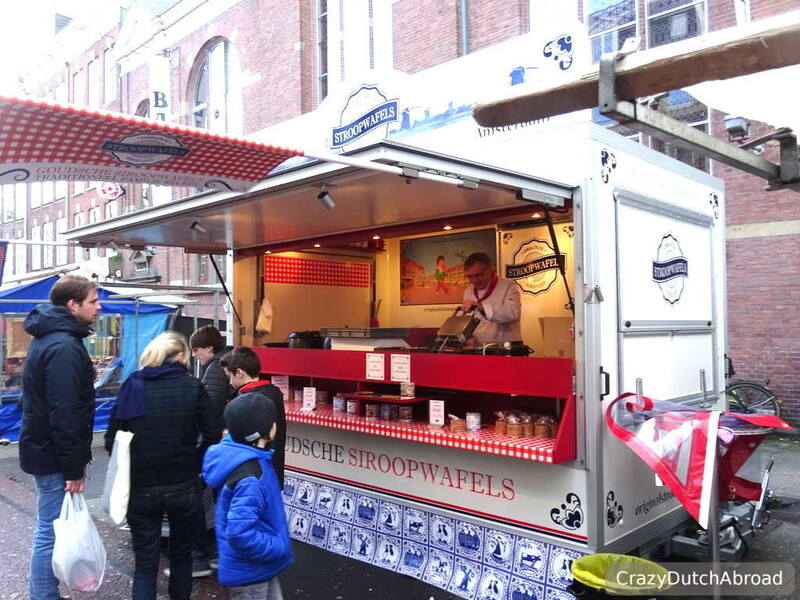 All around The Netherlands you can find those stalls on local markets and they are often decorated with Delft Blue prints of windmills, wooden shoes and tulips combined with red white checkered tablecloth. 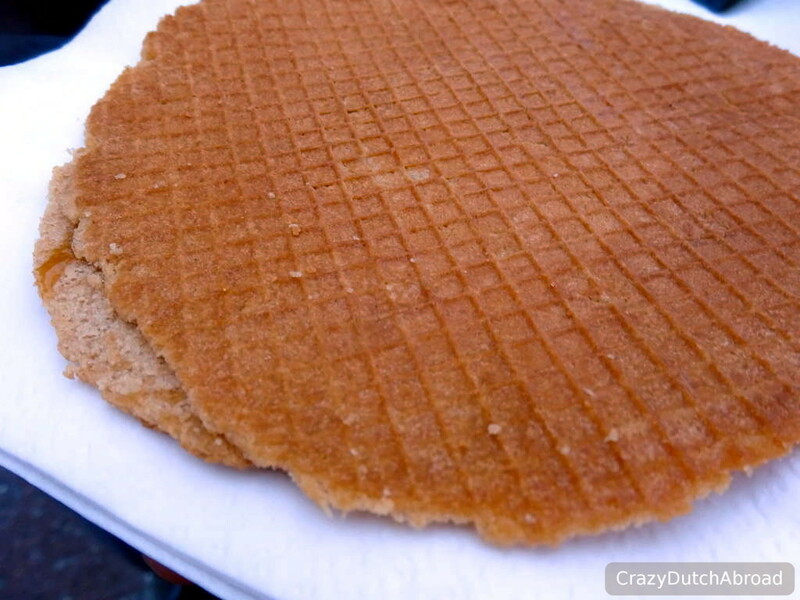 As a child I always saved-up some small money to buy a bag of 'koekkruimels' (biscuit crumbs) instead of a waffle. They still sell them in little bags of about 1 euro. You can buy the normal waffles per piece or set and you can buy a super waffle which is XXl. Guess what I buy as soon as I am back in The Netherlands?! Next stop: CHEESE! It is just great to try and buy little pieces and take it for a pick-nick lunch in one of the city parks. My favorite cheese is called Old Amsterdam. 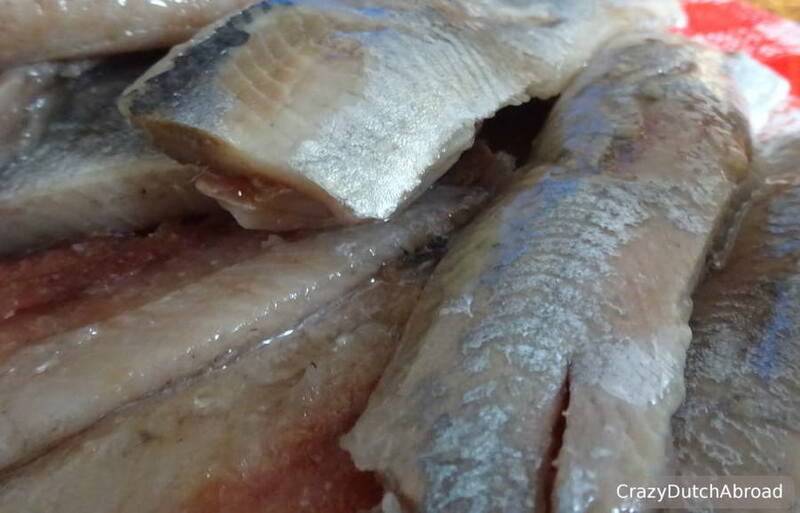 If you have not tried it yet, buy a 'haring' (herring) with onions and pickles! Other things to try (but please - not in one go!) 'drop' (licorice) from a candy stall, 'boerenmetworst' (dry sausage with a strong flavor) from the meats stall and finish your trip with a cone of French fries and mayonnaise on top. The challenge here is to keep your hands clean. Good luck! Visiting the Albert Cuyp market. 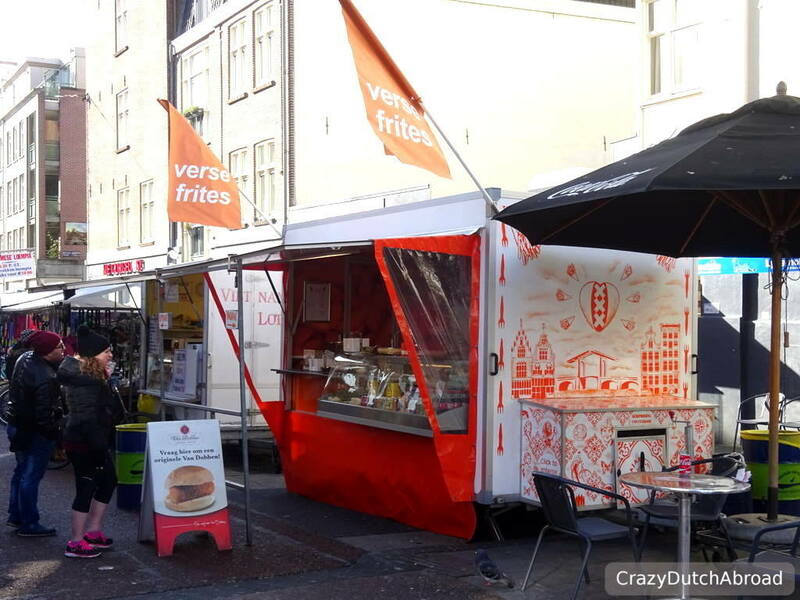 The Albert Cuyp market is located in the Albert Cuyp Street and open from Monday to Saturday 09:00-17:00. 2. Sunset cruising through the canals! 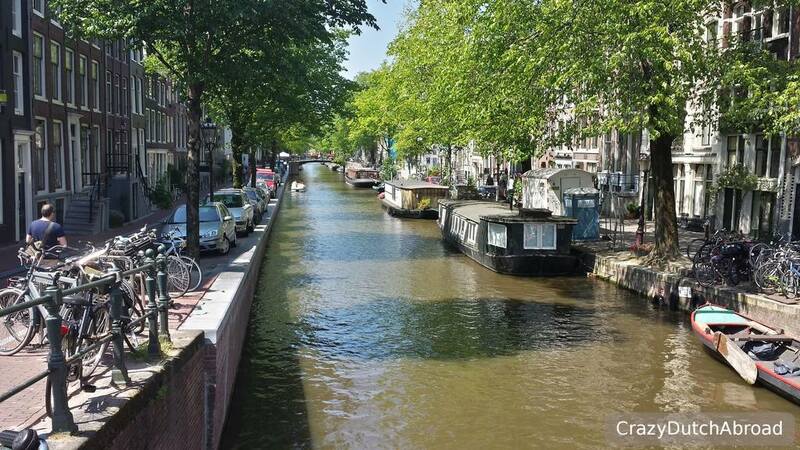 You have not seen Amsterdam if you have not been cruising through the canals. Especially sunset cruises are the best since you see both day and night life. 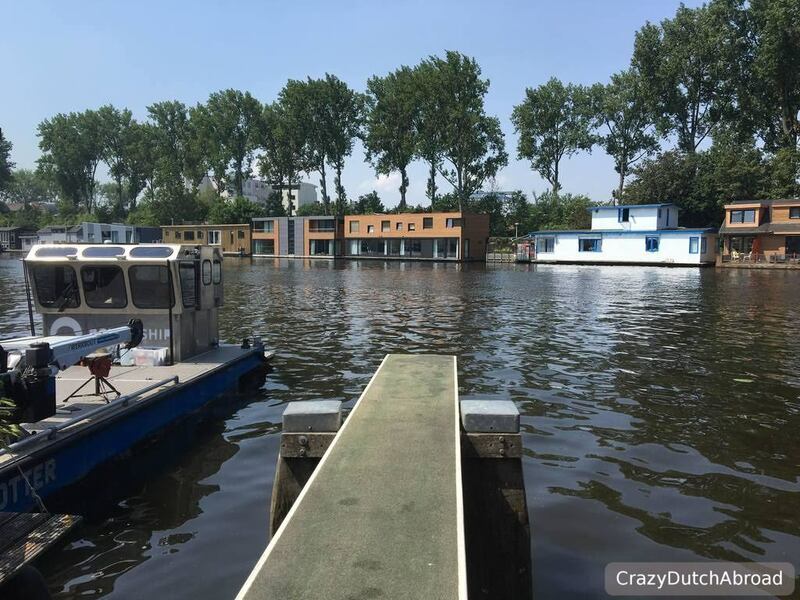 Instead of going on a crowded tour boat it is possible to rent your own small (electric powered) boat. Cruise along the canals and underneath the round bridges. It is just lovely to see the city from the water and look up to the channel houses or inside some houseboats. A nice stop is bar/restaurant Hannekes Boom, close to the main train station. Bring your own drinks and pick-nick basket of Dutch cheese and enjoy the view! Always bring a jacket as well, it gets colder in the evening. 3. Pub-crawl on a bicycle! 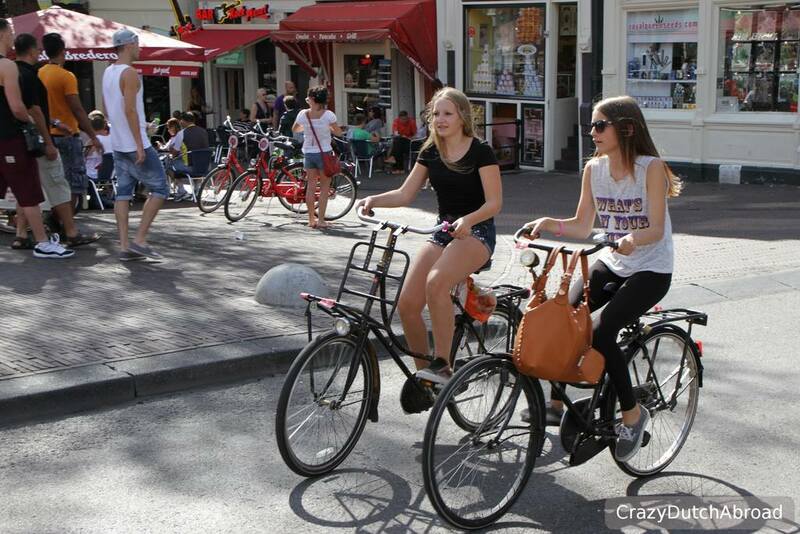 There are many ways to move around the city of Amsterdam, but cycling is 'how it is done'. Keep in mind that this is not a place to learn how to ride a bicycle. There is a lot of traffic, even more traffic rules (fines apply!) and then there are a lot of people breaking them. So keep looking at the direction you are going, look for incoming traffic from ALL sides and watch the ground as well since there are uneven paved streets and tram rails. Having that said, explore town in a way the locals do! 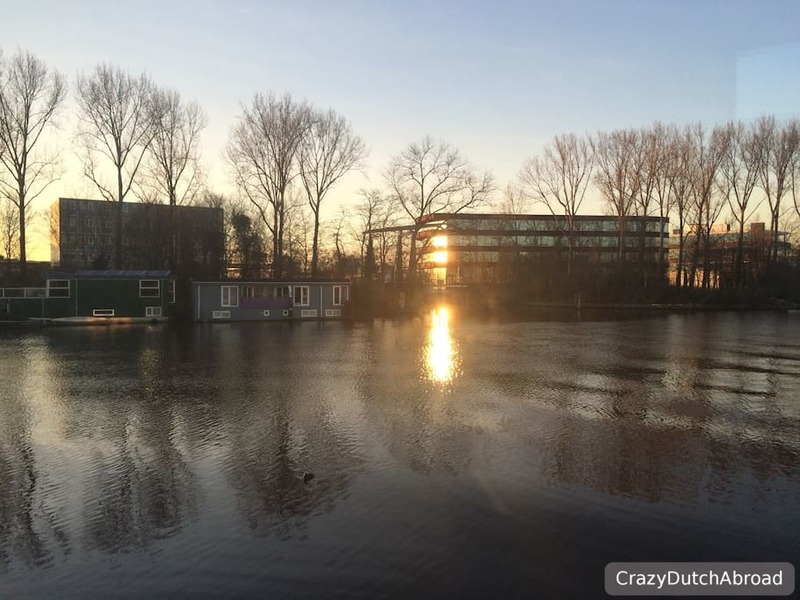 Just cycle around the canals or visit the city parks, Vondelpark is a must - you can cycle right through it! Pub-crawls are quite famous in The Netherlands, especially in cities with Universities. Even though you should not cycle drunk it is great to have a cycling tour with some nice stops. The typical Dutch pubs are dark inside with a lot of brown wooden furniture and a long bar with bar chairs often accompanied with music of André Hazes and peanuts. The typical 'Brown Cafe' has a dartboard, signs with Dutch drinking proverbs and a lot of bottles and mirrors behind the bar. Amsterdam has over 1000 bars so you will find one easily. If you like whiskey visit 'Whiskycafe L&B' (Korte Leidsedwarsstraat) and for liquor lovers visit Wynand Fockink (Pijlsteeg)! New to AirBnB? With this link you can sign up for FREE and get travel credit/discount on your first booking! 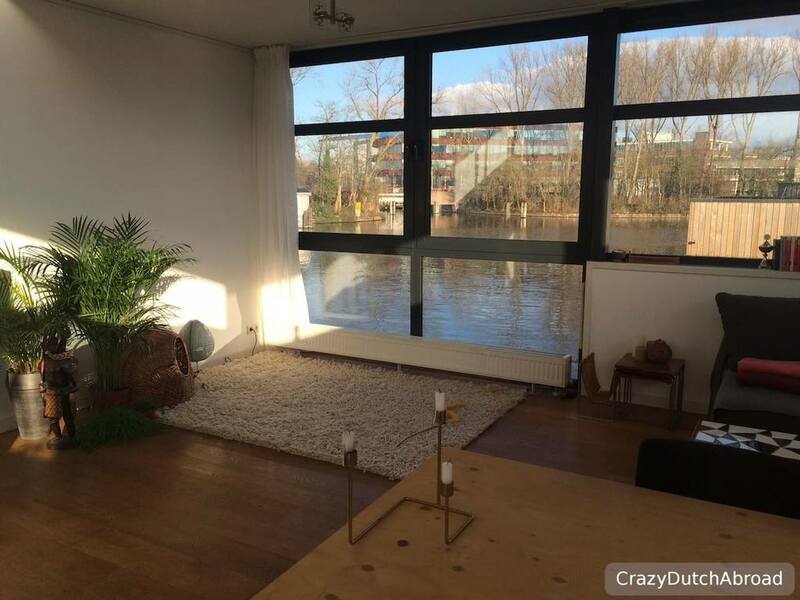 Beautiful house boat in Amsterdam! If you are looking for a place to go shopping in Amsterdam most tourist offices and websites will direct you to the Nieuwedijk-Kalverstraat and Leidsestraat which are often very crowded and offer a lot of typical Dutch franchisers as well as 'low pricing'. The P.C.Hooftstraat is the high-end shopping street with the most luxurious world known brands. Two shopping areas where you will find more 'locals' are the Haarlemmerstraat and the Utrechtse straat. From trendy clothing, shoes and jewelery to electronics and gadgets, here you can find almost everything. There are some really nice bars and restaurants as well! 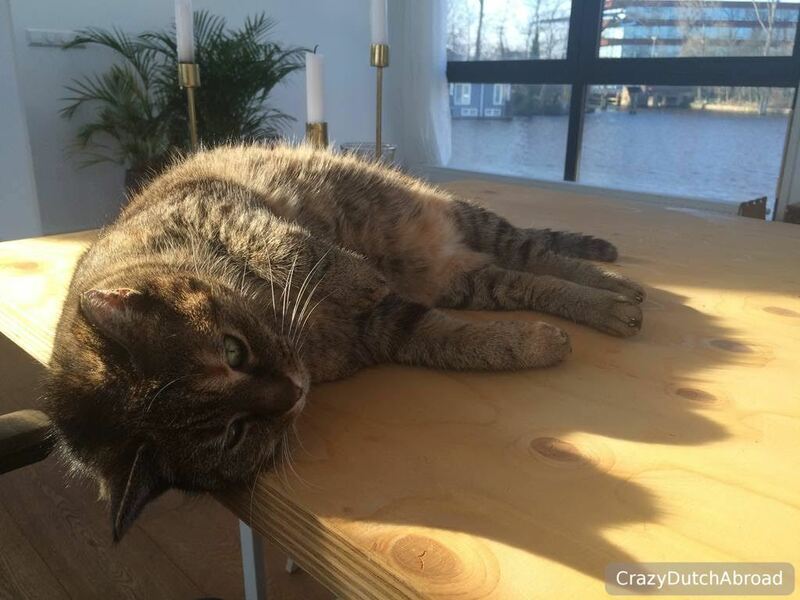 Have you been to Amsterdam? What was the thing you liked most?